EXTRAORDINARY CONTEMPORARY MASTERPIECE BY CP Drewett! UNPARALLELED VIEWS, PRIVACY, AND LOCATION! 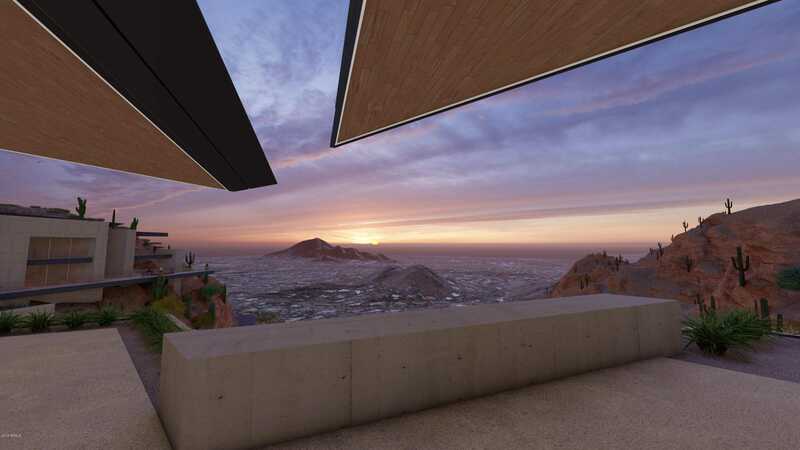 This spectacular 18,000 sqft contemporary build-to-suit home, perfectly situated on a 16.4 acre mountain top Paradise Valley estate lot, presents the most discriminating individual an opportunity to have it all. Located within a guard-gated community, and behind its own private gate, the privileged owner of this extraordinary home will possess a unique level of privacy and seclusion rarely found, especially when considering the area’s best fine dining, shopping, and entertainment are within 15 minutes drive, and both the Phoenix Sky Harbor International and Scottsdale Airports are only 20 minutes away. This remarkable property offers two breathtaking building pads. Must Watch Videos! I would like to schedule a private showing for this property: MLS# 5866737 – $25,000,000 – 7620 N Red Ledge Drive, Paradise Valley, AZ 85253.